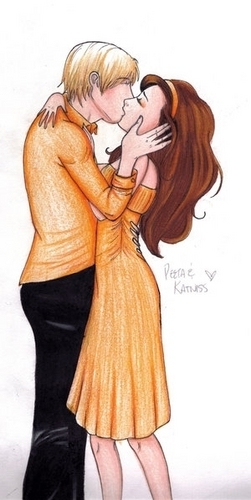 Peeta Katniss. NOT MINE!. Wallpaper and background images in the Peeta Mellark and Katniss Everdeen club tagged: hunger games peeta katniss. Is this after the games or something? i love it!!!!!!! u need to do more!!!! omg!!!! !super cool!!!!!! !i love it so much!! !